It's Christmas time and I have been so busy with the shop that I have been making recipes but not posting them! I recently got a bag of cranberries from my CSA and have been brainstorming about what to do with them. I'm a huge fan of cranberries in drinks so I started to look at what I had in the house. I try to make my recipes with simple ingredients so that you can make them with things you probably have already instead of going out to buy a bunch of items. I had cranberries, seltzer water and some clementines! The last thing I needed was to choose a type of tea. I wanted to chose something that embodies the christmas spirit. Lucky for me The Tea Spot generously sent me some of their lovely teas and one of them is a roasted green tea with peppermint! You can find it here ! Peppermint is a classic christmas time flavor and with the addition of cranberries and citrus, it's perfect! Once you brew the tea let it cool and then let it cool all the way by putting it in the refrigerator! Once the tea is cool you can use it in the drink! Seltzer always gives drinks a nice fizzy kick! 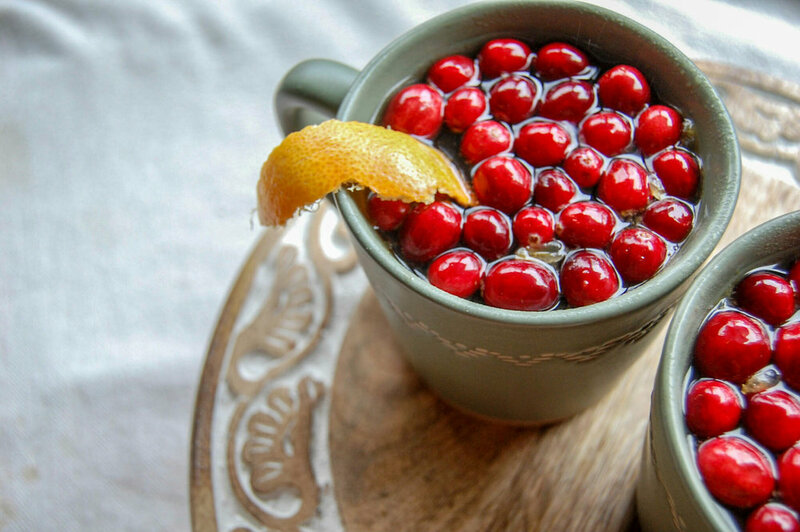 If you are a cranberry lover I would suggest crushing up a few cranberries to add to the drink. I filled my cup up about 1/2 way with tea and 1/2 with seltzer but feel free to change these porpotions to however you think the drink will taste best! I mention in the recipe about adding some juice of the orange. I had a clementine on hand and squeezed half of one in each cup. You can add more or less based on your taste! 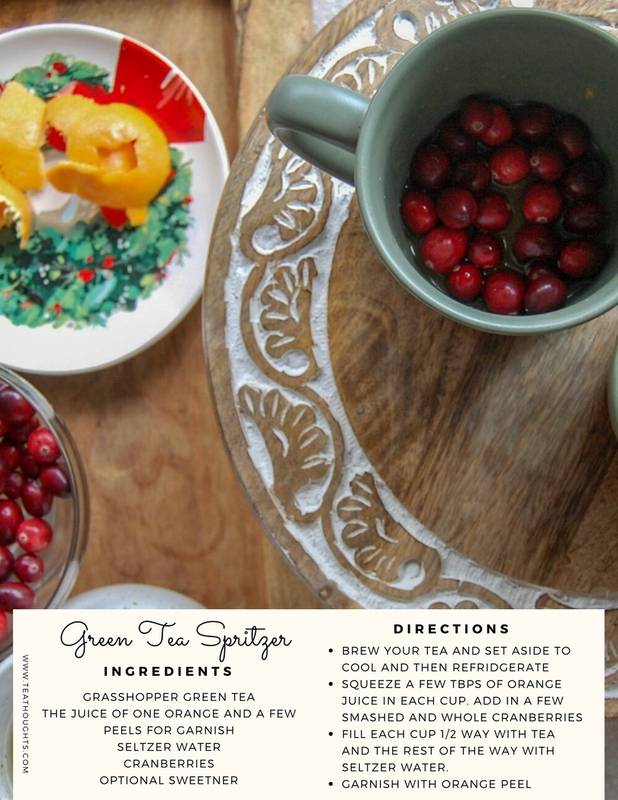 Orange + Cranberries + Green tea peppermint + Seltzer water = AMAZING!! If you want this boozy, I think this simple combo would taste delicious with a variety of drinks!